Worried about rain? There's plenty of indoor exhibits and sheltered spaces at ZSL London Zoo to enjoy whatever the weather! Our penguins love the water, but we understand you might not! Don’t let grey clouds stop you from visiting the Zoo though. The fish may be wet but you don’t have to be! Be submerged in an underwater world of exotic, beautiful and endangered fish in our Aquarium. Cold and rainy? How about hot and humid! Step in to the tropical heat of Rainforest Life and enter London’s only living rainforest. Come face-to-face with amazing species including sloths, tamanduas, and Emperor tamarins. Then head downstairs to the Night Zone and see what the rainforest’s nocturnal animals get up to after dark. Immerse yourself in colour in the Blackburn Pavilion - our walk-through bird exhibit. Come nose-to-beak with exotic birds, many of which are free flying, in this Mediterranean inspired exhibit. This walk-through experience protects you and our array of exotic butterflies from the wet weather! Butterfly Paradise offers visitors the opportunity to learn more about life cycles, biodiversity and climate change while surrounded by the hundreds of butterflies chosen to represent the 100,000 species that exist on the planet. B.U.G.S (Biodiversity Underpinning Global Survival) is our cutting edge biodiversity and conservation exhibit. It is the main place where invertebrates – animals without backbones – are displayed in the Zoo as well as the home of In With The Spiders - the UK's first ever walk-through spider exhibit! The Reptile House dates all the way back to 1926. Here you'll find our amazing collection of reptiles and amphibians, including snakes, lizards, frogs and crocodiles! Head behind the Reptile House to find the home of Ganas, our Komodo Dragon. With razor sharp teeth and toxic saliva that can fell a buffalo, Ganas is a formidable predator. The majority of our outdoor exhibits also feature sheltered spaces where you can see our animals out of the rain. From the train station at Land of the Lions, to the two large viewing areas at Tiger Territory, and our family of western lowland gorillas' jungle gym at Gorilla Kingdom - all are under cover. In with the Lemurs has a large indoor area for both humans and lemurs alike and over at Happy Families make sure you check the window into the otters den, where you can often see our family of oriental short-clawed otters cutely cuddled up together - rain or shine! In Into Africa you can see inside our giraffe house and also see inside the indoor area (complete with hot-tub) of our pygmy hippos, Thug and Nicky. Warm up with a hot drink and a bite to eat in the Terrace restaurant, with a selection of food from across the world, and cake displays full of yummy treats made by our onsite pastry team. Some of our animals love the rain, especially our penguins! So p-p-pick up a poncho or an umbrella from our shop and get exploring! 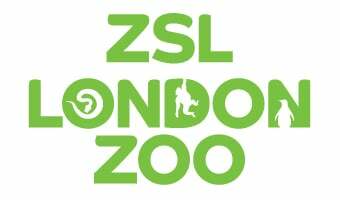 With so much to see and do, a visit to ZSL London Zoo is the perfect day out for people of all ages, whatever the weather!